The nicest unit in a great complex. A 2 storey living room looking out huge new windows to historic Elam Chapel. 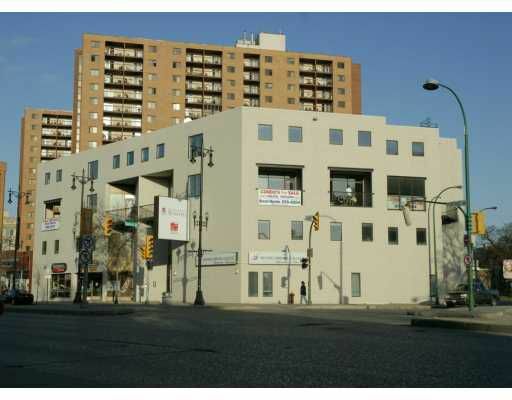 The view is west and down Portage Avenue and the balcony faces south. There is one skylight already and the place for second. The suite is light and bright even with the lights off. Finished to the drywall stage with new plumbing & electrical. It's ready for your designer kitchen. 3 bathrooms and 3 bedrooms makes for great flexibility. Heated indoor parking for $100 per month. Ok outdoor parking for $50 per month. Square footage is per W.L.T.O. plan. Purchaser must add 3.84% net gst to the purchase price.